All classes are one hour unless otherwise indicated. Classes include 15 minutes of homework at least twice a week. Proof of current parvovirus, distemper, and parainfluenza vaccinations for dogs are required for all classes. We also require proof of current rabies vaccination for all dogs over four months old. You may want to also vaccinate your dog against Bordetella (kennel cough) based on your veterinarian’s recommendation. Dogs attending class should not have any visible signs of illness or disease, ex. Runny nose, cough, eye discharge, diarrhea, vomiting or mange. No female dogs in heat in class. To register for a Nose Work class, email Julie Madden at maddentj1@bellsouth.net or call 404-849-2247. To register for Puppy or Obedience classes email Alex Bain at alexisbain98@gmail.com or call 205-753-3181. Complete the Pre-Class Questionnaire or the K9 Nose Work Pre-Class Questionnaire and bring to the first class. Payment can be made in advance via PayPal by sending the amount to dogtalkwithjulie@gmail.com, or pay by check or credit card at the first class. Sessions will be held at the Encore building, 301 EA Darden Drive, Anniston, AL 36201. If you have questions, email us or call 256-403-0723. Lessons and evaluations are generally conducted at the Encore Enrichment Center facility. For private session at a client’s home, an additional charge for drive time and mileage will apply. Introduction to K9 Nose Work (1) $120 for the six-week session. Class covers the history and philosophy of nose work, the concept of the game, handler observation skills, and getting the dog focused. The dogs search for high value food or a toy. Searches are conducted inside. Introduction to K9 Nose Work (2) $120 for the six-week session. 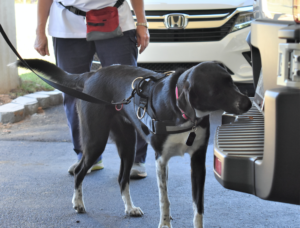 Class introduces the dog to searching vehicles, outside, and closed containers. More challenging searches and environments are introduced. Introduction to Odor $120 for the six-week session. The dog learns to search for birch odor in all four elements – interiors, exteriors, vehicles and containers. Advanced Nose Work $120 for the six-week session. Dogs are introduced to anise and clove odors and prepare for odor recognition tests and competitive trials. Obedience 101 We will go over how dogs see the world and start teaching them basic obedience such as sit, down, come, stay, heel, etc. We will also work on loose leash walking and the proper way to hold the leash and the proper equipment to use. Puppies 101 We will cover how the puppies view the world and the reasons why they do what they do. 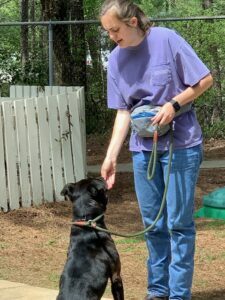 We will also include practice with socialization and introduce some basic commands such as; sit, down, come, heel, stay, etc. 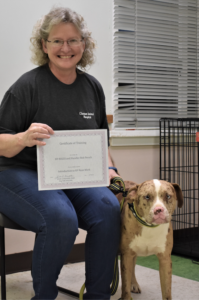 Our facility can accommodate a variety of dog-related or human events, from seminars to retreats to mini-competitions. New Nose Work Classes Scheduled!